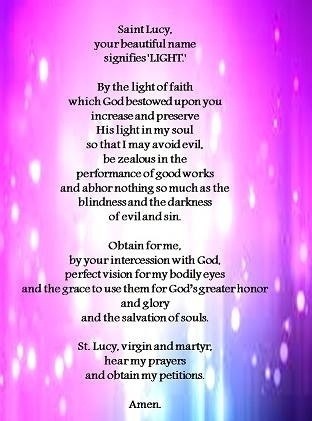 This entry was tagged fuchs spot, grace, low vision, prayer, retina, St Lucy. Bookmark the permalink. Dear Belinda, I am glad to hear the specialist didn’t find anything significant after thorough examination. That gives you peace of mind that nothing else is going on in your eye. I am thankful there is no new damage and you are still able to work at your computer and drive. I pray your vision gets better. I have been having the Avastin injections once every 4 weeks and I have seen improvement, for which I am very thankful to God and the wisdom He has given to doctors. Thank you so much for sharing your insights and what Is really important in life. You are an inspiration to me and I am sure to many others Many blessings to you!